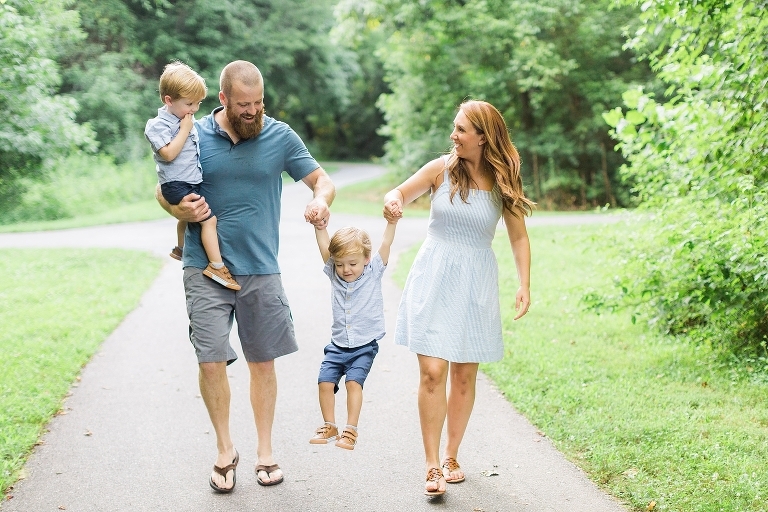 Amanda and Matt had their Mooresville family photography session at Bellingham Park. Their twin boys Lincoln and Sam were two and a half years old. This park has a nice greenway to walk through. 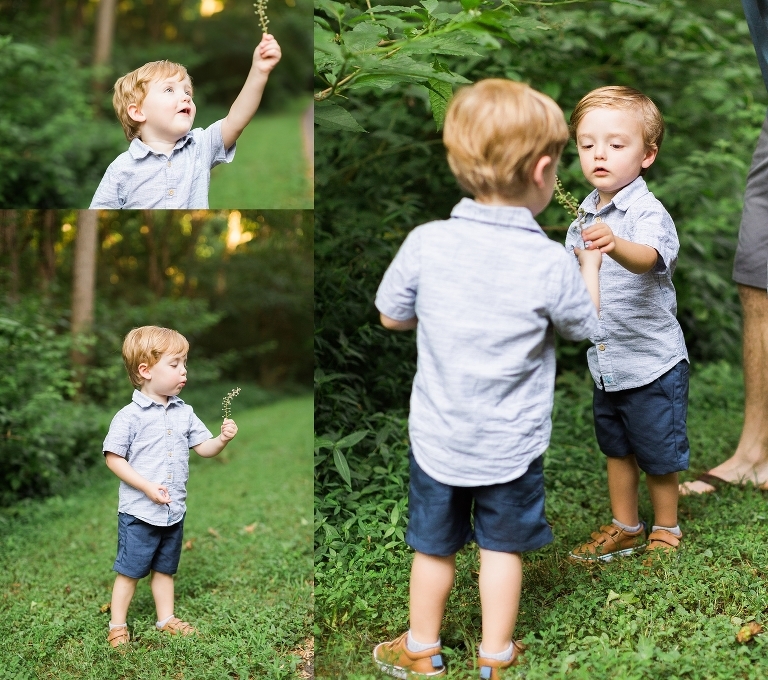 The boys were running all around and enjoying nature! The twins have their favorites, and you’ll usually see Amanda holding Lincoln and Matt holding Sam. Amanda works in the health and wellness industry and is a sales coordinator with her company. Contact her here if you’d like to know more! Matt has worked in NASCAR as an athlete for the last 10 years. Together they are amazing twin parents and Amanda calls herself a professional twin wrangler! 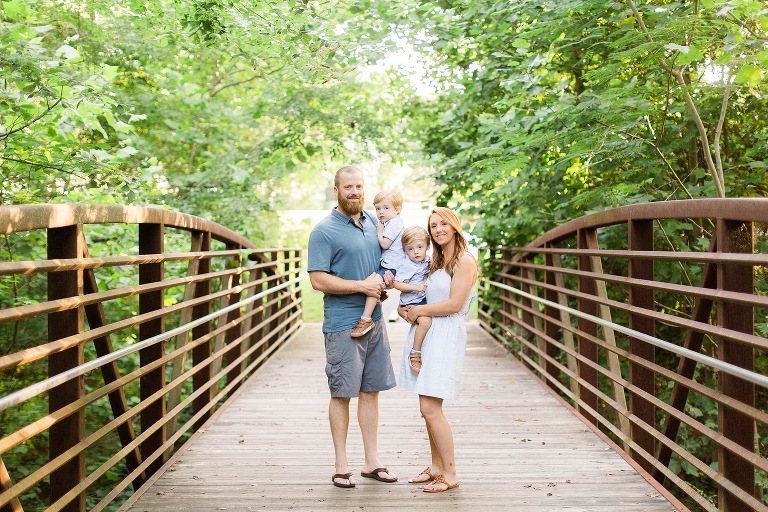 Are you having family photos taken in Mooresville and want to see another local location? Check out another photo session which was photographed in Downtown Mooresville.